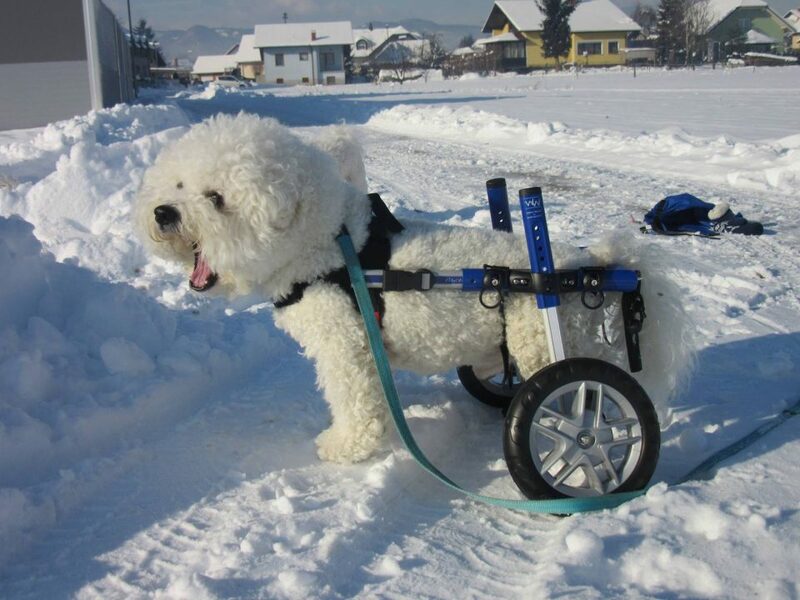 Dogs that can’t walk, have weak hind legs, or tire easily, use our Rear Wheel Dog Wheelchairs to get the exercise they need to live a happy, healthy, active life. 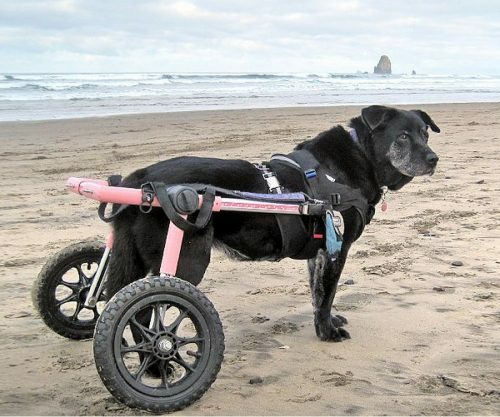 Your dog will use his or her front legs to drive the cart while the back legs are lightly touching the ground or safely held up in stirrups, depending on the strength of their back legs. 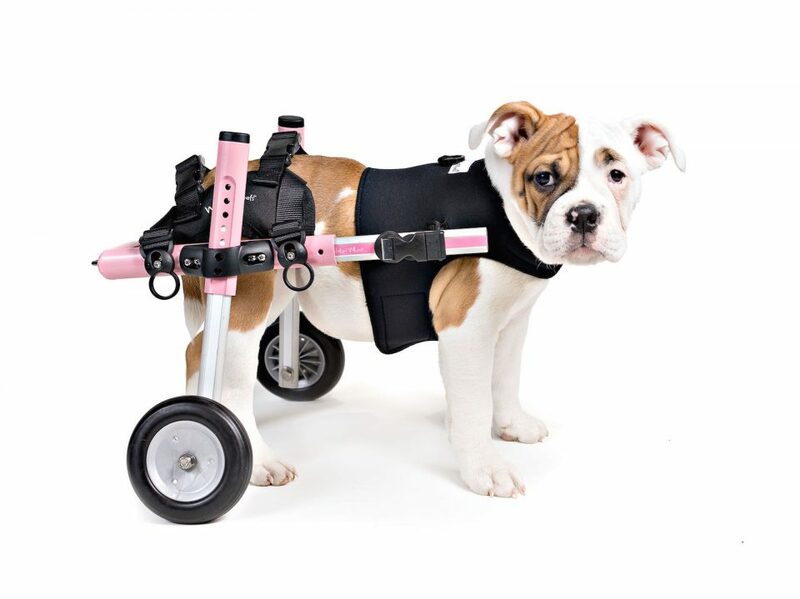 Walkin’ Wheels is the ONLY fully adjustable dog wheelchair. With simple snap buttons, the universal frame expands in length, width and height to fit all sizes. 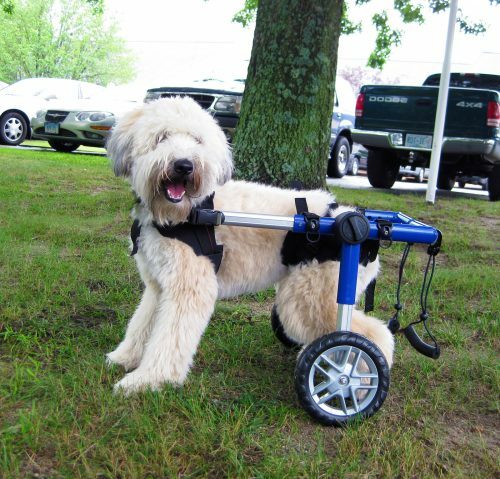 Interchangeable snap-in wheels and struts are all that is needed to adjust the Walkin’ Wheels for different sizes of dogs. Adjusts for a perfect fit. Can be used on any dog. Standard and large sizes fold flat for convenient transport and storage. Wheelchairs are large and postage prices vary. Please contact us to quote for shipping.